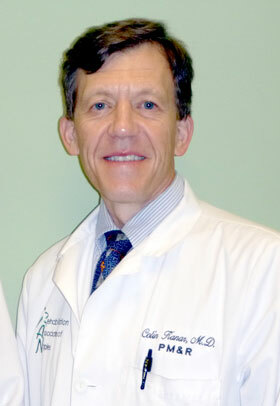 Rehabilitation Associates of Naples’ own Dr. Colin Kanar, MD, has been named in “America’s Top Doctors” several years running by Castle Connelly. The top doctors who are listed in the medical publisher’s books were nominated by their peers in an extensive survey process of thousands of American doctors each year. These Top Doctors’ medical educations, training, hospital appointments, disciplinary histories – and much more – are screened by the Castle Connolly physician-led research team. Those doctors who are among the very best in their specialties and in their communities are selected for inclusion. Doctors do not and cannot pay to be included in any Castle Connolly Guide or online directory. Rehabilitation Associates of Naples is proud of their reputation for quality among their peers, and dedicated to helping our patients achieve the maximum out of life. This entry was posted in Practice Announcements. Bookmark the permalink.